Hey everyone I hope I can get some help and advice from you all. So I haven't vidded in around 3 years. So everything I used back then is gone programme wise which I used as I dont own the same computer anymore and cause it's been such a long time away from the community. Can I get some suggestions of programmes of editing software and any other ripping converting programmes I could use and possible places of sourcing them from. As it's been such a long a time I'm rather out of touch. I have a macbook if that makes any difference on what I can use. Last time I had windows and I assume there is some differences. Thanks in advance to get me back on the vidding road I have missed it a lot. What's the best program to do that with that wont reduce the quality? Simply resize? Does anyone know if there is a freeware or cheaper program that will separate audio from voice tracks in a video? 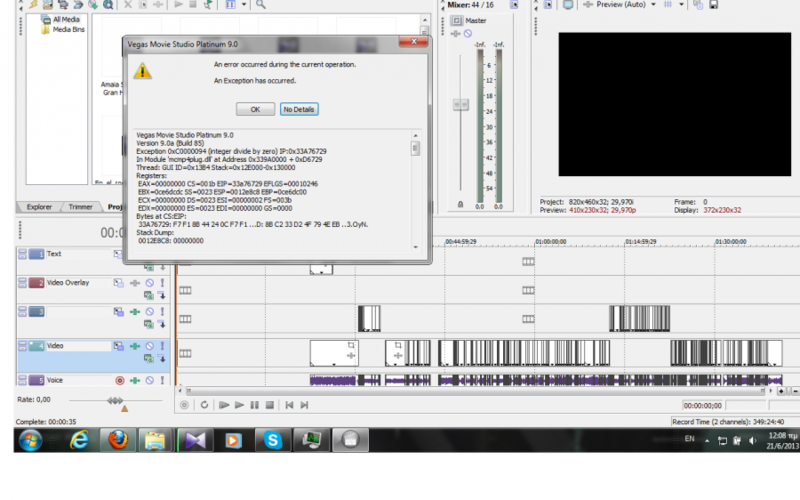 I'm aware later versions of Sony Vegas can do it, but mine unfortunately cannot. Any help would be wonderful. Results of the Vidding Source Import Tools Census are published! Results of the Vidding Tools census are available here! There's quite a lot of information and comments on a wide range of items. What tools do you use to gather footage for vidding? How do you rip, convert, contort, and cajole source video into the format your editing program works with? This survey will crowd-source this information. The more people share, the more we can learn from each other. Tools you love, things you tried that weren't worth the time and effort, all your vidding experience is valuable. We all have our preferences, we always will. There's still room to learn from others, find new things to try, new tools to try. There's space for DVD ripping software, torrent sites, and more. The opinions entered can be anything from "this is perfect and I use it exclusively" to "tried it, didn't work, never again" and even in between. The aggregate data will include as much or as little personal comments as each person wants. Thanks in advance for contributing! Feel free to share this link and information with other vidders, anyone interested in sharing. I've been using Sony Vegas 7 (which I believe is a much earlier 'Pro' version), but I am looking to buy a version for my personal use. I have a friend visiting America this week who is happy to purchase me a copy of the software while there. The prices here are prohibitive here in Australia. I mostly make fan vids or play with silly footage of my friends etc. Nothing professional. If I buy Imagination Studio 4 (which contains Movie Studio Platinum 12 as the main editing software), will I likely be missing out on features I'm used to using in Sony Vegas 7? In particular, are you at all limited to a certain number of tracks with Imagination Studio 4 or can you use an unlimited number of tracks? I seem to remember this being pointed out as a big difference between the pro and other versions of Vegas back in the day. Any help hugely appreciated. The website isn't all that helpful. Every time this error appears, the program just stops working, it shuts down and doesn't let me do my work. Does anyone know how to fix it please?? I'm trying to convert VOB files I ripped using DVD Shrink to MPG. When I do, I get these annoying lines (see below). I've tried converting to mpg 1 and 2. I've tried NTSC and Pal. I even tried converting to AVI first... I get the same thing. The VOB file looks great, but nothing I try to convert it to. Any suggestions would be greatly appreciated! Thank you! I vid with Final Cut Pro, and most of my vidding thus far has been with NTSC DVDs, which I rip to my computer and then use MPEG Streamclip to convert clips to mov. I use the Apple DV/DVCPRO NTSC codec for my clips, but I'm starting to wonder if there's something else that would work better. In particular, I've had some issues with non-square pixels in my final export, especially when the source's frame aspect ratio is 16:9 (it doesn't seem to happen in 4:3). My understanding is that the DV codec doesn't use square pixels, and I'm wondering if there's a good, high quality editing codec that works well for NTSC DVDs that does use square pixels, so I can just nip the issue in the bud. In addition to video editing, I occasionally use Sony Vegas to edit audio too. I am wondering if it is possible to export/render a multi-track file to a format in which the multiple tracks are maintained. This is available in Audacity as "export to multiple tracks," but I cannot seem to find anything in Vegas.